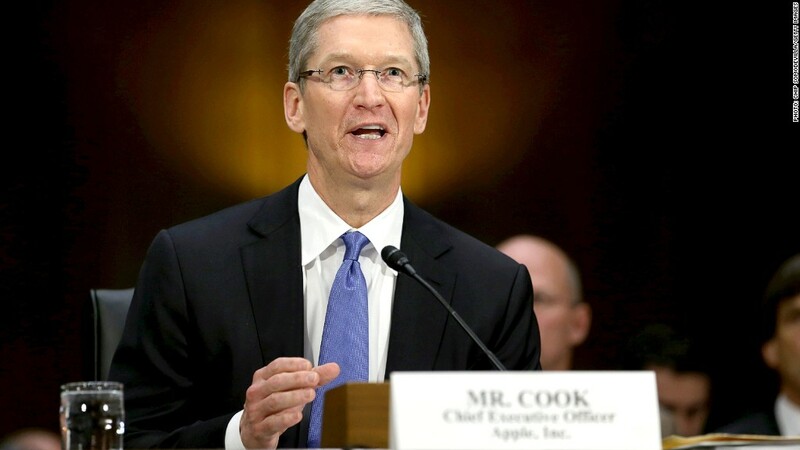 Apple CEO Tim Cook testifies before senators last month on the company's tax strategies. A congressional report released last month said the tech giant used a complex system of international subsidiaries and tax avoidance efforts to shift at least $74 billion out of the reach of the IRS between 2009 and 2012. U.S. companies face the highest official corporate tax rate in the world. But there's a big difference between the rates set out by law and the cash that's actually collected. Large, profitable U.S. corporations paid an average effective federal tax rate of 12.6% in 2010, the Government Accountability Office said Monday. The federal corporate tax rate stands at 35%, and jumps to 39.2% when state rates are taken into account. But thanks to things like tax credits, exemptions and offshore tax havens, the actual tax burden of American companies is much lower. In a report commissioned by Senators Carl Levin (D-Mich.) and Tom Coburn (R.-Okla.), the GAO looked at taxes paid by profitable U.S. corporations with at least $10 million in assets. Even when foreign, state and local taxes were taken into account, the companies paid only 16.9% of their worldwide income in taxes in 2010. Coburn said in a statement that the report "underscores the need for comprehensive tax reform." "An individual's or corporation's tax rate shouldn't be dependent on their ability to hire a tax lobbyist," Coburn said. "It's especially wrong to ask families who are struggling to make ends meet to subsidize special breaks for corporations." Republicans as well as President Obama have called for a lower statutory corporate rate along with the closing of loopholes. The prospects for such reform appear remote for now, given the fractious nature of the current Congress. The GAO's calculation for effective corporate tax rates is lower than a number of previous estimates. That's in part because the office excluded unprofitable firms, which pay little or no taxes, from its analysis. Including those firms' losses would reduce the total net income from which the average tax rate is calculated, and would not "accurately represent the tax rate on the profitable corporations that actually pay the tax," the GAO said. The GAO used figures on taxes paid from actual IRS returns, which it noted were "on the whole, lower than the tax liabilities reported in the corporate financial statements." U.S. corporate tax collection totaled 2.6% of GDP in 2011, according to the Organization for Economic Cooperation and Development. That was the eleventh lowest in a ranking of 27 wealthy nations. The Senate's Permanent Subcommittee on Investigations has hauled several corporate executives to Capitol Hill over the past year for testimony on their tax practices. A report released by the subcommittee last month charged that Apple (AAPL) used a complicated system of international subsidiaries and cost-shifting strategies to avoid paying taxes on some $74 billion in income from 2009 to 2012. In September, the subcommittee heard from Microsoft (MSFT) and Hewlett-Packard (HPQ), whom Levin called "case studies of how U.S. multinational corporations... exploit the weaknesses in tax and accounting rules and lax enforcement." A subcommittee report at the time alleged that Microsoft had saved nearly $7 billion off its U.S. tax bill since 2009 by using loopholes to shift profits offshore. H-P, the report said, avoided paying taxes through a series of loans that shifted billions of dollars between two offshore subsidiaries.